Alberta’s woodland caribou (Rangifer tarandus caribou) herds have historically occupied two-thirds of the province ranging from the west-central foothills to the boreal forests of the north. Woodland caribou are an iconic Canadian species in trouble. Their survival is threatened by extensive resource development in their critical habitat. Despite repeated assurances of protective actions from government and industry, resource extraction has increased, pushing caribou in many areas to the brink of extinction. We work towards the long-term survival of caribou by ensuring protection and restoration of important caribou habitat. The conservation community, including provincial biologists, has recognized the need to protect this species since the 1940s. Over the past 30 years several management plans and committees have been created to address the population decline; however, changes to industrial practices that would protect caribou have been limited to a few years of deferred logging. Even then the government has recently directed forest companies to ignore commitments to caribou habitat protection while oil, gas and tar sands development in caribou habitat continues. These actions contravene both industry-and government-established guidelines. Exploration and development of new industrial operations must be deferred in woodland caribou ranges where populations fall within AWA Areas of Concern and/or are considered to be at “immediate risk of extirpation” under Alberta’s Woodland Caribou Recovery Plan or are listed as Threatened under Alberta’s Wildlife Act and the federal Species at Risk Act. Research must be undertaken prior to industrial exploration to assess specific herd population viability, including short-term and long-term population trends, habitat quality and supply constraints, the location of key habitat areas, and the parameters of present and historic caribou ranges in the area. On lands adjacent to these caribou ranges, AWA expects that special management considerations will be researched, developed and implemented to ensure no net loss of habitat and population numbers. National – Southern Mountain population: Threatened. Boreal population: Threatened (Species at Risk Act Public Registry). Provincial – Threatened (Fish and Wildlife Act, 1985). permanent protection of caribou habitat in the wildlands of the Little Smoky, Chinchaga and Kakwa. The most consistent and pervasive threat to the persistence of a viable caribou population in Alberta stems from resource extraction industries, which are causing an overall loss and fragmentation of habitat. Reports from locals and government biologists dating back 60 years have documented the absence of caribou following the establishment of industrial activity in an area. Over the past 30 years, field biologists have shown the links among forestry, hydrocarbon development, and road building and the decline of woodland caribou. Caribou are dependent on old-growth forest conditions, which include the growth of lichen, the main forage (70% of diet) of caribou. When these older forest stands are logged, it can take several decades before conditions are suitable for caribou to return. As logging companies continue to operate in an area, there is less and less habitat available for caribou, and if shortened logging rotations are maintained, suitable conditions may never return. Habitat loss exacerbates mortality from predation. Caribou are gregarious but have traditionally maintained low densities across their range to reduce predation risk by wolves and other large predators. However, as habitat area decreases, local caribou population densities increase as herds are forced into smaller and smaller habitat patches. As caribou density increases, they are more easily detected by predators. Wildlife biologists have long argued that mortality from predators has increased due to industrial activity in caribou habitat and that this is a leading cause of caribou population decline. 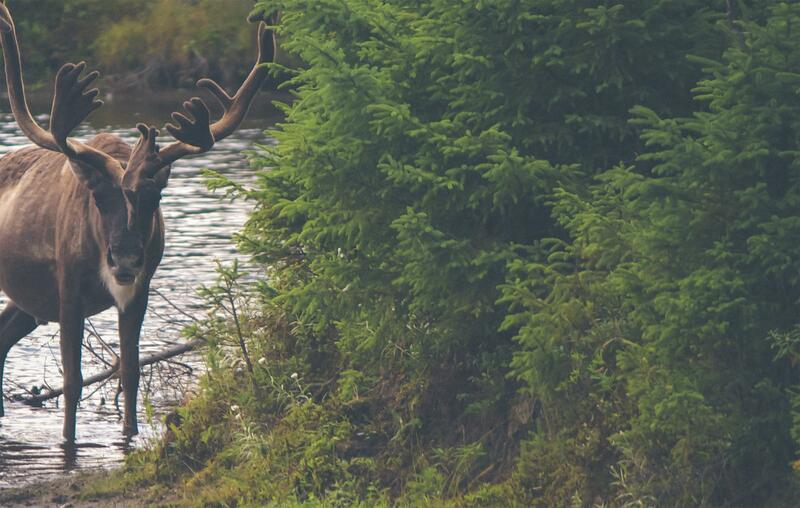 Industrial activities also increase the suitability of the landscape for caribou competitors such as elk and moose. Elk are known to push caribou off of scarce winter ranges and moose attract predators to an area. Combined, the presence of these animals increases the vulnerability of caribou to starvation and predation. The vast majority of industrial activity in caribou habitat requires roads for access and/or to extract natural resources. Seismic cutlines are also prevalent in areas where resource extraction or exploration is taking place. These linear features are detrimental to caribou in a number of ways. For example, caribou are known to avoid seismic lines from 250 m away This effectively reduces the amount of habitat on either side of that line, irrespective of how pristine the remaining habitat still is. Furthermore, road access and cutlines are known to increase access to both human and wildlife depredation. Biologists have called for access management and cooperation among resource extraction industries to minimize road construction, such that industrial operators would share roads and seismic lines. These calls have been made repeatedly since the 1970s (e.g., by Michael Bloomfield, a regional habitat biologist with the provincial government) through to the present day (Dyer et al. 2001). Woodland caribou (Rangifer tarandus caribou) are a subspecies of caribou and differ in form, distribution and status from the barren ground caribou (Rangifer tarandus groenlandicus) of the tundra. Two forms (or ecotypes) of woodland caribou exist in Alberta, the boreal woodland caribou and the mountain woodland caribou. Mountain woodland caribou are distinguished by their seasonal migratory behaviour between foothills ecosites and higher elevation sub-alpine forests. whereas boreal woodland caribou prefer lowland areas in the more northerly and eastern parts of their range and are more sedentary. Lichens found only in old-growth forests – that is, mature stands of spruce and pine 80-150 years old – constitute 70 percent of the caribou’s diet. Caribou avoid recently cut seismic lines and logged areas. Woodland caribou are slow to mature and have low fecundity. Females are able to breed after 2.5 years and only have one calf per year. Current population estimates of woodland caribou in the province are 2,500 to 4,200. Under Alberta’s Wildlife Act, the woodland caribou is designated a ‘threatened’ species, due to their low numbers and the decline in their distribution resulting from direct habitat loss, degradation and fragmentation. Woodland Caribou are a species endemic to North America with historical ranges from the Rocky Mountains to Newfoundland and north into Alaska and the northern territories of Canada. However, the current distribution has shrunk dramatically in the US northeast and populations are only found in Washington, Idaho, across Canada and into the Northwest Territories, Yukon and Alaska. The boreal variety of caribou exist across Canada (NT, BC, AB, SK, MB, ON, QC, NL) and are listed as threatened throughout by the federal government. The mountain variety exist only in the western provinces and territories but scientists treat them as separate northern (BC, YT, NT) and southern (BC, AB) populations. The Queen Charlotte Islands population of woodland caribou in British Columbia is extinct. The Gaspe population of woodland caribou in Quebec are listed as endangered. Southern populations of mountain woodland caribou are most in need of protection with range declines of 40 percent throughout British Columbia and Alberta, where they have been listed as a nationally threatened species since 2000. Alberta populations of woodland caribou have been in decline since the 1920’s. Provincial biologists and the conservation community have urged for adequate protection since that time. Alberta Wilderness Association (AWA) has found that no new energy rights within Alberta caribou ranges are scheduled for future sales. Two in-range licences covering 24 km2, which had been posted for the August 19 rights auction, have since been withdrawn by Alberta Energy. AWA recognizes the importance of these lease sale withdrawals and urges the Alberta government to defer all new energy leasing within caribou ranges, until strong habitat-recovery range plans are in place to ensure survival of Alberta’s endangered caribou. On April 29, in the midst of an election, the Alberta government planned another major auction of new oil and gas leases on 35,600 hectares (356 km2) of endangered mountain and boreal woodland caribou habitat, without rules to reduce surface disturbance below current excessive levels. Since September 2014 the Prentice government has auctioned over 1600 km2 of Alberta caribou ranges for oil and gas leases. On March 5, AWA’s News Release outlined Alberta Government plans to auction new oil and gas leases on 21,000 hectares (212 square kilometers) of endangered mountain woodland caribou habitat, in the Kakwa region of west central Alberta without rules to reduce surface disturbance below current excessive levels. The Redrock Prairie Creek mountain caribou population was estimated to have declined from 212 animals in 2009 to 127 in 2012, a 40% decline. This population was rated as ‘Stable’ in 2004 when Alberta’s ineffective 10 year caribou recovery plan was put in place. On March 6, the Alberta government postponed the auction within the endangered Redrock Prairie Creek mountain woodland caribou range. Alberta Wilderness Association (AWA) welcomed this decision and called on the Alberta government to defer further energy lease sales in endangered caribou ranges until effective rules were in place to protect and recover their habitat. Following this decision, the Alberta government posted new energy leases for sale in the same endangered mountain caribou range in west central Alberta where it cancelled lease sales on March 6. Alberta Wilderness Association (AWA) asks the Alberta government for consistent decisions to recover Redrock-Prairie Creek and Narraway mountain caribou, and to adopt the principles of the Alberta Conservation Association (ACA) 2012 proposal for Redrock-Prairie Creek caribou range management. In May of 2014, Alberta’s ‘mountain’ caribou were assessed as Endangered – in immediate danger of extinction – by Canada’s Species at Risk Act scientist advisors (COSEWIC). Yet the Alberta government plans to sell off a further 1,765 hectares of energy leases in these endangered caribou ranges from May 14 to June 25, in apparent disregard of the habitat crisis facing its caribou. Alberta Wilderness Association (AWA) called on the Alberta government to stop undermining caribou survival chances and to halt new leasing and surface disturbance within caribou ranges. The newly approved forest management plan for Alberta Newsprint Company (ANC) includes a one year deferral across the Little Smoky herd range. However, intensive logging so far remains within ANC’s newly government-approved 10 year harvest plan in the adjacent A La Peche caribou herd’s critical habitat. Alberta government extends its deferral of the sale of new mineral rights in the range of two of its fifteen caribou herds to include forestry activities in the same area. The logging deferral will exclude logging from 35 percent of the forest management agreement area held by ANC Timber, Ltd. (also known as Alberta Newsprint Company). This area is about 100km north of Hinton, and overlaps with the ranges of the Little Smoky and the A La Peche woodland caribou herds. Alberta government announces that, for the first time, it is de rring the sale of new mineral rights across the entire range of two of its fifteen caribou herds until Cabinet first adopts range plans describing how critical habitat will be protected to recover those two populations. The Alberta government sells new petroleum and natural gas lease sales in five threatened caribou range areas, despite already unacceptably high industrial disturbance of caribou habitat in those areas. AWA calls on the Alberta government to cease new surface leasing and new disturbance permits in Alberta caribou ranges and to make good on its promises to maintain and restore caribou habitat. 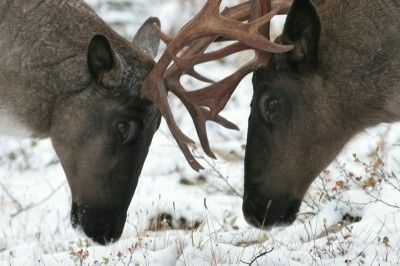 AWA writes an open letter to Alberta Energy Minister Ken Hughes, urging that planned auctions of new energy dispositions in the Little Smoky caribou population range in February, March and April 2013 not proceed. AWA notes that despite horizontal drilling technology that could consolidate new exploration and production on a reduced footprint, the Alberta government continues to issue leases and approve new surface disturbance including in the 5% of the Little Smoky caribou range that was formerly intact. This violates the Alberta Government’s 2011 woodland caribou policy that states the immediate priority is maintenance of habitat, followed by habitat restoration. AWA and Keepers of the Athabasca send information on the irresponsibly high ongoing caribou habitat disturbance in Alberta’s oil sands region to US-based environmental groups concerned with Canada’s oil sands impacts. As of 2010, 64% of oil sands area caribou ranges were industrially disturbed, and as of June 2011, 83% of their ranges had bitumen leases. At least 65% undisturbed habitat is required for caribou to have even a 60% chance of being self-sustaining, according to Environment Canada. AWA denounces extensive new disturbance in the Little Smoky caribou range as violating the 2011 Alberta woodland caribou policy. AWA visits and documents significant new road, well site and pipeline corridor disturbance within the last 5% intact area of the Little Smoky’s range. 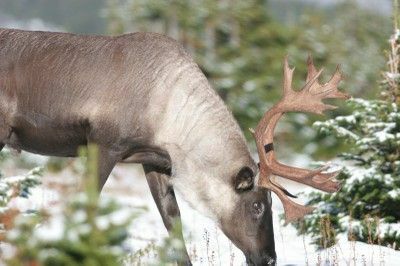 Government of Canada releases the final boreal woodland caribou federal recovery strategy, five years past the ‘mandatory’ deadline for final recovery strategy under the federal Species at Risk Act. Strong public pressure appears to have helped improve the final strategy. There are much better goals of showing progress every 5 years towards a 65% undisturbed habitat target for even the most vulnerable herds. This is important for Alberta’s boreal caribou, whose undisturbed habitat as of 2010 ranged from only 43% (Caribou Mountains) to a mere 5% (Little Smoky). The final strategy rejects the draft strategy’s unacceptable preference for wolf kills and clearly gives the most urgency to landscape level planning and to habitat protection and restoration. 65% undisturbed habitat will provide only a 60% probability for populations to be self-sustaining, according to Environment Canada. It would be better if the plan’s target was set higher, at 80% chance to be self-sustaining. But given that Alberta populations’ habitat is so highly disturbed now, achieving 65% intact habitat would be significant progress. AWA calls for swift range plan development by Alberta and on-the-ground actions to meet the targets. The Athabasca Chipewyan First Nation (AFCN) releases a “stewardship strategy” for the management of caribou and wood bison in a huge area of northeastern Alberta. The report is titled Níh boghodi: We are the stewards of our land. An ACFN stewardship strategy for thunzea, et’thén and dechen yághe ejere (woodland caribou, barren-ground caribou and wood bison). The report calls for two huge zones: a Protection Zone in the north, and a Stewardship Zone further south. The Protection zone would include : No new industrial developments; no licenses, leases, authorizations or permits on the land without ACFN’s written consent; and provincial and federal governments to fund and work with ACFN to implement a program of habitat reclamation where habitat has already been degraded. The federal government posts a Notice on the Species at Risk Act registry that it “intends to post a final recovery strategy in late spring 2012” due to the volume and nature of public comments received on the draft strategy, and due to ongoing consultations with Aboriginal communities. An extended public consultation period on the draft federal boreal woodland caribou recovery strategy ends February 22, 2012. The government receives 14,000 public comments. Environment Minister Peter Kent suggests the government will delay releasing the final recovery strategy beyond the required 30 day window. Federal Environment Minister Kent makes a decision not to recommend emergency protection of critical habitat for threatened caribou herds in northeastern Alberta. Global Forest Watch Canada issues “Canada’s woodland caribou: Industrial disturbances in their ranges and implications for their survival“. The eight boreal woodland caribou populations within Alberta’s bitumen (oil sands) region had 64% of their habitat disturbed by industry as of 2010, compared to a Canada-wide average of 14% (these are disturbances buffered by 500m). As of June 2011, 83% of caribou ranges within Alberta’s oil sands areas had oil sands leases. 80% undisturbed habitat is needed for caribou herds likely to be self-sustaining, according to Environment Canada’ s science assessment. 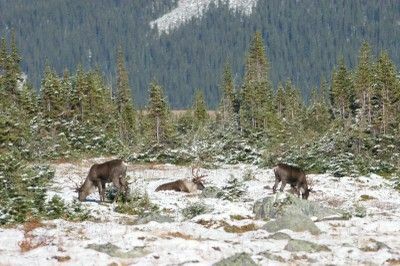 Parks Canada releases a proposed Conservation Strategy for Southern Mountain Caribou in Canada’s National Parks. AWA in commenting on the strategy is supportive of habitat-related measures: reducing human, deer and elk access into caribou ranges, thereby reducing wolf access. AWA will only support translocation, and limited use of cow-calf penning or predator management, if there is a clear priority placed on habitat-related actions. For herds that are not self-sustaining but are important to maintain connectivity across Canada, which includes Alberta’s remaining 5 herds, the strategy proposes that undisturbed habitat must increase over 50 years to provide 65% undisturbed habitat in the herd’s total range. This 65% habitat target, if reached, will only provide a 60% chance a population will be self-sustaining. The federal court decision is announced in response to legal action by AWA, Pembina Institute and Alberta Ecojustice, seeking a court order to force federal Environment Minister Kent to recommend emergency protection of critical habitat for threatened caribou herds in northeastern Alberta. The Federal Court overturns the minister’s decision not to recommend emergency protection for caribou. “It is not immediately apparent how, given the foregoing facts, the Minister reasonably could have concluded that there are no imminent threats to the national recovery of boreal caribou,” Justice Crampton writes in his decision. June 21, 2011. AWA, with Pembina Institute and Alberta Ecojustice, take the federal Environment Minister, Peter Kent, to court, seeking a court order to force the minister to recommend emergency protection of critical habitat for threatened caribou herds in northeastern Alberta. The groups point out that the Government of Alberta’s reluctance to introduce any meaningful caribou habitat protection through its recent Lower Athabasca Regional Plan makes immediate federal action even more critical. The Government of Alberta produces a minimalist two‐page woodland caribou policystating “The Government of Alberta is committed to achieving naturally sustaining woodland caribou populations… Actions will be taken to address caribou habitat needs, including achievement of those requirements in land-use planning and approvals.. Maintaining caribou habitat is the immediate priority. Restoring caribou habitat is a critical component of caribou habitat management.” There is no schedule for planning and implementing actions. A June 2011 report by Global Forest Watch Canada demonstrates clearly that the draft Regional Plan for the Lower Athabasca region will fail to protect caribou habitat. Under the draft Lower Athabasca Integrated Regional, a mere 4 percent of caribou habitat in the region would benefit from new protection. This would add to the meagre 3 percent already protected. Alberta government admits that it will be ignoring the advice of its own scientists to downgrade caribou from threatened to endangered, despite clear evidence that caribou numbers continue to decline. The government’s Endangered Species Conservation Committee (ESCC) makes recommendations to the minister of Sustainable Resource Development on the status of Alberta wildlife. The ESCC is a ‘stakeholder’ committee, including representatives from the Alberta Forest Products Association, Canadian Association of Petroleum Producers and the Western Stockgrowers’ Association. As a nonexpert committee, they often take scientific advice from their own Scientific Subcommittee. But when the Subcommittee recommends in December 2010 that the plight of woodland caribou was so dire that they should be downgraded from threatened to endangered, their advice is ignored. The Alberta government refuses to publish the recommendations of the Scientific Subcommittee, and so the reason why the ESCC decided to ignore the advice of its own scientists is unclear. AWA initiates an application under Freedom of Information legislation to see the reports from the ESCC and its scientific subcommittee. July 2010, the Alberta government publishes the 2010 update of the report, Status of the Woodland Caribou in Alberta. The language in the report makes it very clear that, after 23 years of Alberta’s caribou “recovery” process, the picture remains dire for the species. One of Jasper National Park’s three remaining populations, the Maligne Valley herd, crashes to just four members. The new Management Plan for Jasper National Park does not address this population, despite calls from AWA and other organizations to close the Maligne road to winter use which would offer some protection to the caribou herd. Ecojustice, on behalf of AWA, Pembina Institute and Sierra Club Prairie Chapter, petition federal Minister of the Environment, Jim Prentice, to adopt emergency measures under the federal Species at Risk Act to protect caribou herds in northeastern Alberta. Their letter calls for a halt to further industrial activity in caribou ranges until a recovery plan and habitat protection measures — mandated by species legislation — are in place. The letter supports a demand made by local First Nations in July, when the Beaver Lake Cree Nation, Enoch Cree Nation, Chipewyan Prairie Dene First Nation and Athabascan Chipewyan First Nation demanded that the minister provide emergency protection for herds on their traditional lands. AWA and Alberta conservation groups called for an emergency order from the Federal Environment Minister to enforce habitat protection for the endangered woodland caribou herds in the foothills and tar sands. The draft management plan for Banff National Park recommends investigating reintroduction of caribou into the park. AWA and other provincial conservation groups distribute copies of a provincial government recovery plan for Alberta’s endangered woodland caribou. The Action Plan for West-Central Alberta Caribou Recovery authorized ongoing logging and oil and gas development in the caribou home ranges north of Hinton and Grande Cache, despite more than two dozen Alberta government and science reports, consultations and recovery plans for caribou released since the late 1970s that show industrial impacts on forests and wildlife as the root cause of caribou decline. The remaining four members of Banff’s caribou herd are all killed in an avalanche. This becomes the first extirpation of a large mammal in a Canadian National Park in more than a century. Also in April, an Environment Canada report, Scientific Review for the Identification of Critical Habitat for Woodland Caribou, Boreal Population in Canada, is published. The report concludes that half of Canada’s boreal caribou herds are in decline and could die off unless their habitat is better protected, and points to logging and energy production as big threats. The Conservative government takes the extraordinary step of distancing itself from the report. While caribou habitat remains unprotected, another 120 wolves are killed in caribou range between April 2008 and March 2009. Increased numbers of hunting licences are also issued to try to reduce moose numbers in caribou habitat. AWA, along with Canadian Parks and Wilderness Society, Federation of Alberta Naturalists, and the Athabasca Bioregional Society write to Dr. Marco Festa-Bianchet, co-chair of the Committee on the Status of Endangered Wildlife in Canada’s (COSEWIC) Species Specialist Subcommittee – Terrestrial Mammals requesting COSEWIC assess the status of the Little Smoky local population of woodland caribou. In the letter, the groups submit that the Little Smoky herd is both particularly imperiled relative to the wider boreal population of woodland caribou and both geographically and genetically distinct from the boreal population. The Alberta Forest Products Association (AFPA), an industry group, tells AWA that it no longer supports the recommendations of the Alberta Caribou Committee, of which it is a member. AWA calls for the removal of the AFPA from the ACC on the grounds that it is not acting in good faith. The AFPA had previously agreed not to clear-cut log in caribou habitat areas, even with the advent of a pine beetle outbreak. February: The federal response to the woodland caribou question – that is, whether or not it must actively protect habitat – as delivered by the NAFTA Commission on Environmental Cooperation, is delayed pending the resolution of spotted owl proceedings. The federal government claims that the spotted owl ruling will affect the outcome of legal actions with respect to woodland caribou. AWA releases another 9 public statements calling on government and industry to honour their commitments to caribou conservation. The province implements a wolf-culling program without addressing long-term habitat protection issues. This action contradicts caribou management plans dating back 30 years and the opinions expressed by members of the Alberta Caribou Committee, AWA and the public. Applications for energy development, including improved roads, wells and pipelines, continue without resistance from government officials. 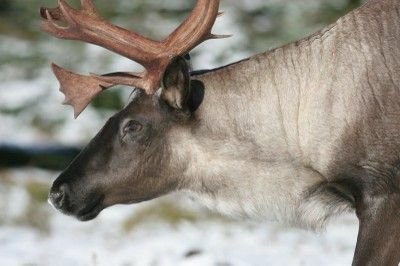 National environmental groups send a petition to the Commission on Environmental Cooperation claiming that the federal government has failed to protect critical habitat for endangered species with specific reference to woodland caribou in Alberta. The CEC is the environmental watchdog of NAFTA and was set in place to ensure that partner nations enforce their own environmental laws (i.e., to minimize trade advantages for countries in violation of domestic environmental laws). CEC rulings are non-binding but politically significant. By the end of 2006, the provincial government has forced forest companies like Weyerhauser to log forests in critical caribou habitat in order to minimize impacts from recent mountain pine beetle (MPB) attacks. The goal of this strategy is the widespread conversion of older forests, which are susceptible to MPB attack, to plantations of younger trees. The provincial strategy to combat MPB is in direct contradiction to previously established caribou management agreements. AWA makes more than 7 public announcements, along with other conservation organizations, calling on the government to adhere to its commitment to protect caribou habitat after recent research presented by University of Alberta biologists indicates that provincial land-use guidelines for caribou habitat are being violated by industry. The province announces the creation of the Alberta Caribou Committee (ACC), which includes the Boreal Caribou Committee (1999), the West Central Caribou Committee (1992), the Provincial Caribou Recovery Team (2001) and other stakeholders. The province says it will further engage First Nations people (who are still exempt from the caribou hunting ban) in caribou management, promote industry best practices for operating on caribou lands, and implement a predator control program. The ACC is expected to produce a management plan by 2007. They announce that the provincial caribou population is 2500 to 4000 individuals. CANFOR announces it will voluntarily defer logging on the Little Smoky Caribou Herd range, which covers one-sixth of their FMA, for two years starting in the winter of 2005/2006. Weyerhaeuser announces the cessation of logging activities in 82 000 hectares of forested area in west-central Alberta for the next 5 years based on research they supported. AWA and other environmental groups in the province issue a press release calling on the government to implement a comprehensive, multi-sector approach to caribou management. Suncor/ConocoPhillips propose the construction of a 101-km-long sour gas pipeline through the home range of the Little Smoky and A La Peche herds. Development to begin in December 2004. The Alberta Ministry of Sustainable Resource Development forms the Alberta Woodland Caribou Recovery Team. The Committee on the Status of Endangered Species in Canada (COSEWIC) re-designates the status of caribou as Threatened. Regional caribou management standing committees merge into the Boreal Caribou Committee. The committee comprises industry and provincial government officials only. Caribou are downgraded to the provincial Blue List. Caribou are now defined as species that may be at risk and have undergone irregular declines in population, habitat, or reductions in provincial distribution. The provincial population is estimated to be 3600 to 6700 individuals. The multi-stakeholder committee formed in 1993 releases Alberta’s Woodland Caribou Conservation Strategy. The goal is “healthy populations in perpetuity throughout Alberta’s caribou range”. It recommends that “No significant new clearing of coniferous forests beyond existing commitments should be considered until caribou habitat supply analyses are completed.” It is not implemented. The 1996 strategy mentions wolf culls only as a last resort. COSEWIC redesignates the status of caribou to Vulnerable. The Strategy for Conservation of Woodland Caribou in Alberta is drafted by Alberta’s Fish and Wildlife Division. It specifically mentions the logging industry as the biggest threat to caribou survival in Alberta. “No approach has been demonstrated to be effective in maintaining caribou populations in association with timber harvest in the long term.” The strategy recommendations were not adopted. A multi-stakeholder committee known as the Woodland Caribou Conservation Strategy Development Committee (WCCSDC) is formed to address caribou conservation and develop another strategy. Regional standing committees comprising industry and government representatives are created to reduce land-use conflicts in caribou management areas. The wildlife sanctuary along Highway 40, first officially recommended in 1986, is designated. Caribou are put on the provincial Red List of threatened species, defined as species that are at risk and have declined, or are in immediate danger of declining to a nonviable population size. Alberta Energy releases “Operating Guidelines for Industrial Activity in Caribou Range” (IL 91-17 ; Alberta Energy). increase public awareness of caribou. The Federation of Alberta Naturalists withdraws its support for the provincial Caribou Restoration Plan over government proposals to cull 70% of wolves near Jasper National Park. Caribou are designated an Endangered Species by the Policy for the Management of Threatened Wildlife in Alberta, legislated under Alberta’s Wildlife Act. Calgary Herald reports that caribou poaching continues in areas near Grand Cache. COSEWIC recognizes the woodland caribou as a rare species. A provincial report suggests that the west-central Alberta caribou population has dropped to 300 individuals from a high of 1200 to 1800 in 1968. The report cites habitat loss, poaching and predation as the primary causes of the decline. The report also provides detailed timber harvesting and access guidelines for the management of caribou habitat areas. Regional biologist and provincial caribou coordinator, Michael Bloomfield, resigns after his superiors in government continue to ignore recommendations for caribou protection as wolf culling programs are being discussed (Edmonton Journal, April 4, 1987). Provincial biologists suggest that the population of caribou has declined by at least 50% in the past 15 years. A Calgary Herald article reports that Fred McDougall, then Deputy Minister of Renewable Resources, says that “it would only be fair” if hunters were given a year warning on a possible hunting ban. This year was the second year in a row that AWA, along with the 25 000-member Alberta Fish and Game Association, has called on the government to ban caribou hunting. AWA and Alberta Fish and Game Association lead the charge in calling for the suspension of caribou hunting in Alberta. a regional access management plan for industry and recreation must be created. In addition, 24 major land-use conflicts are identified but there is no mention of a more comprehensive stakeholder decision-making process. Forty-one caribou are harvested across the province this year. Province-wide population is estimated at around 5000 individuals. The population of caribou begins declining once again, with an estimated size of 600 to 700 animals in the Athabasca Forest Area (AFA; now known as the Willmore Wilderness Park). Oil and gas exploration activities increase substantially in backcountry areas. Backcountry road development facilitates hunting and poaching of caribou. Approximately 100 animals are harvested (554 licensed hunters). A railroad is built from Grand Cache to Hinton, bisecting the seasonal migration route of mountain caribou. According to a provincial status report from the late 1960s, growing interest in caribou hunting from the public should be paralleled by an improved management plan on the part of the Fish and Wildlife Division. Industrial development booms in the area as the population of Grand Cache grows from 500 in 1950 to over 4000 by the end of the 1960s. Government biologists estimate the size of the AFA herd to be 1200-1600 individuals. Antlered season (adult males and females) is opened, and 76 animals are harvested (360 licensed hunters). Other estimates of the provincial caribou population are closer to 9000 individuals. Sixty-three animals are harvested in the AFA (120 licensed hunters). Government biologists estimate there are 800-1000 caribou. Government biologists estimate the size of the AFA herd to be 200-300 individuals. For unidentified reasons the province re-opens the hunting season, according to a recent government report. An average of 19 animals are harvested per year during subsequent years. Province-wide ban on caribou hunting. Annual provincial government reports note the continued scarcity of caribou in the AFA. Government report suggests that the decline of caribou in the AFA is due to caribou emigration to British Columbia. Guides, hunters and forest officers report a near total absence of caribou in areas north of Jasper National Park. Male-only season in the AFA; caribou hunting is banned in the rest of the province. Two harsh winters are thought to have further decimated caribou populations. Timber activities in the AFA grow until the area has the highest timber extraction rates of any Forest Reserve in the province by 1945. Caribou hunting is restricted to north of the Brazeau River. Provincial report acknowledges the overall decline of wildlife species, including caribou, in areas where logging companies operate. Government report suggests southern range contraction, with no caribou herd found south of the Hay (or Wildhay) River. Provincial government recommends minimal protection for this species due to declining numbers through the 1920s. No such protection was implemented. Population estimates are thought be more than 2000 individuals. Provincial government reports a “stable” population of caribou. Province-wide hunting season, one caribou per hunter, an average of 40 animals are harvested per year. Distribution is thought to be discontinuous over 2/3 of the province throughout the mixed coniferous, boreal forest zone and the mountainous areas north of Banff National Park. Like all wildlife in the province (i.e., not residing within federal lands), the management of woodland caribou is the responsibility of the provincial government. Woodland caribou management is directed, in general, by the Wildlife Act, and more specifically by a series of management plans. the legal designation of caribou as an At Risk species by the province in 1985 and by the federal government in 1984. A moratorium on further mineral and timber resource allocation (sales) should be put in place until a range plan is completed, evaluated, and implemented. It is anticipated that this process will take a maximum of one year from the date of range team formation. Alberta’s commitment to the 1992 National Accord for the Protection of Species at Risk clearly states that a “lack of full scientific certainty must not be used as a reason to delay measures to avoid or minimize threats to species at risk.” This principle is reiterated in the Recovery Plan itself. Unfortunately, industrial activity has continued to occur throughout caribou ranges. b = percentage area of caribou range burned by recent (50 years or less) wildfire. If caribou populations are to recover, then habitat must clearly be identified and protected from industrial activity. Theoretical formulas and models can add to the planning process, but unless there are genuine mechanisms to regulate industrial activity within critical caribou habitat, the probability of caribou extirpation in Alberta will continue to grow. Furthermore, a lack of adequate habitat protection is cause for the implementation of the more severe, regulatory tools contained within the federal Species at Risk Act (SARA). SARA could finally force government and industry to adhere to decades-old land-use management plans for the protection of caribou. Deliberations over the implementation of SARA in the case of woodland caribou protection are currently under way. The overall theme of caribou management in Alberta has not been the failure to identify the causes of the caribou’s decline; rather, there has been a slow and aversive response to taking the necessary steps that would stem their decline. Since 1978, at least five official management plans have been created, often through multi-stakeholder committees, all of which have included recommendations that would allow the caribou populations to recover. Yet, changes to land management practices on the ground have been, and continue to be, scarce. The most recent plan, The Alberta Woodland Caribou Recovery Plan, does not specifically address habitat protection; rather it deflects this responsibility to smaller “landscape” planning units. Remarkably, after millions of dollars of research and almost 30 years of robust studies on caribou habitat, demographic, movement and population ecology, the government is still reliant on “one more committee” to solve this problem. Dr. Stan Boutin from the University of Alberta, the pre-eminent researcher of woodland caribou in Alberta, clearly states that caribou protection requires the restriction of industrial activities: there is no having it both ways. As these committees continue to deliberate what provincial biologists, locals and AWA have already known for decades, the probability of caribou extirpation grows with each new clearcut, well, pipeline and road. From early reports by provincial field biologists in the 1930s to the most recent management plan, it is well known that caribou conservation requires changes to current planning and operating procedures for industrial development in caribou habitat. Whether these recommended changes stem from the wisdom of regional biologists or complex multi-stakeholder meetings, decision-makers in government have consistently failed to incorporate adequate measures to protect caribou.